AG40L - The 5th generation EDM technology with LN2 controller. 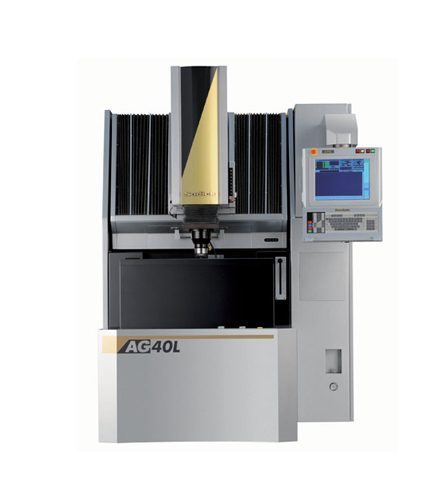 AG40L is the 5th generation Linear motor drive High speed Die-sinker electrical discharge machining technology 'LN2 controller' has adopted the 'perfect active control,' enabling simultaneous control of high speed electrical discharge and axis movements by using serial communication technology of 1Gbit/sec. New Arc-less system features further improved 'Nano Wear' and also ensures great improvements in machining speed and accuracy with copper electrodes. Further standard SVC circuit features high quality surface finishing, like satin surface finish with low electrode wear.